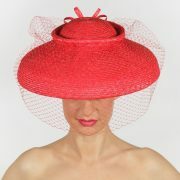 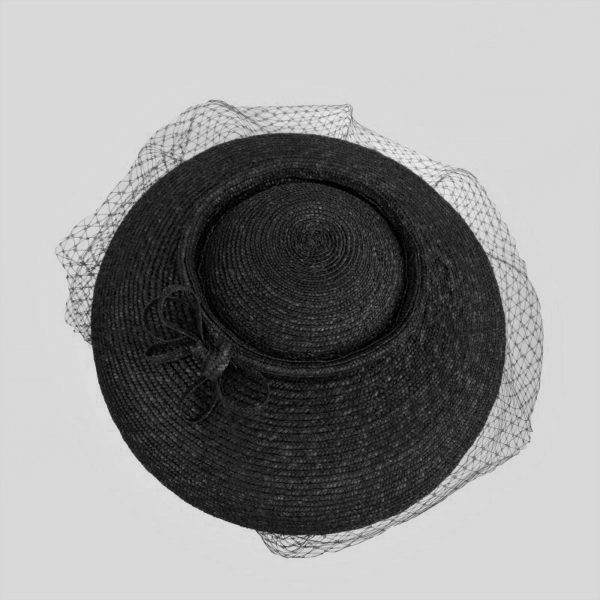 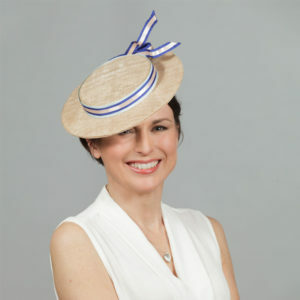 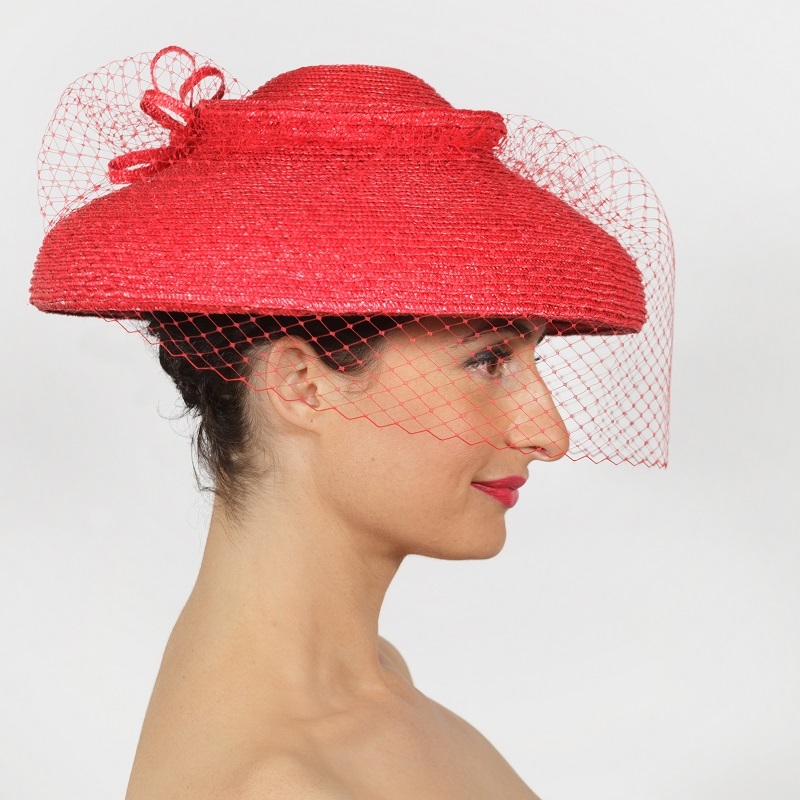 A timelessly stylish handblocked straw “percher” hat with a flattering downturned brim and a swirl of veiling. Perfect for a summer wedding or the races. 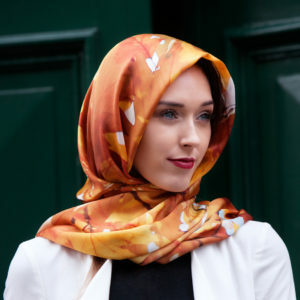 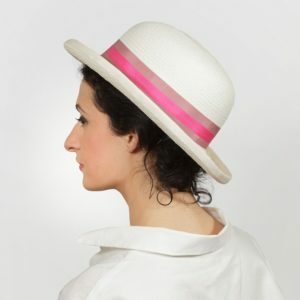 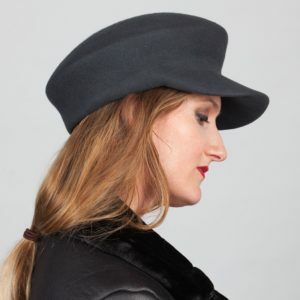 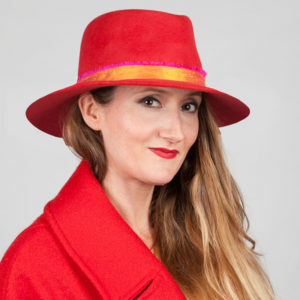 The percher style fits any headsize and is held on the head with a comb and simple hat elastic which can be colour matched to your hair – please choose from colours below. 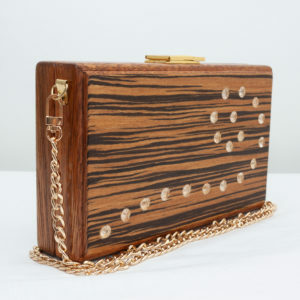 Handmade to order.